Mary Watt Yeadon is an artist in the Realism style. Starting in 2010, her inspiration reflects her family's favorite past time of collecting and restoring vintage cars. 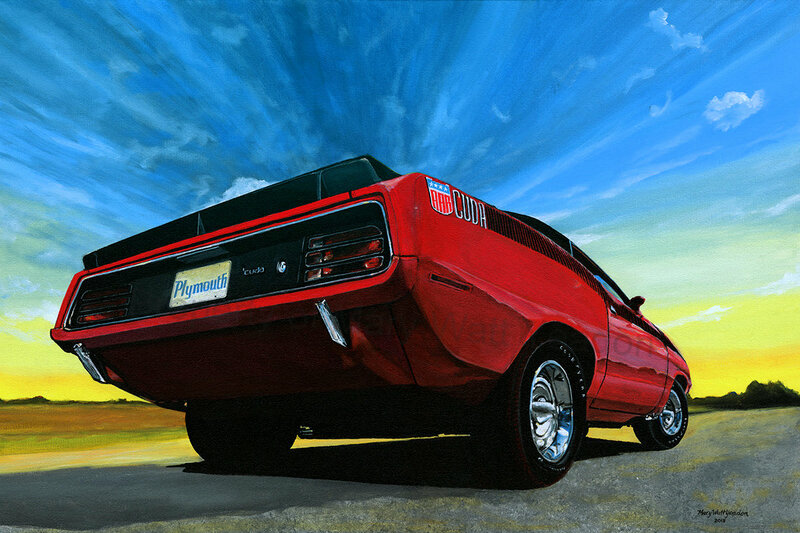 "After spending several years in the shop, restoring vintage cars with my husband and son, I decided to try my hand at painting some of my favorites. There's only one way to explain how I am able to paint like this. The Lord has blessed me! It has been challenging and fun finding the right angles and reflections, making the chrome pop. I can hardly wait to finish one, so I can start the next. I sometimes have to wonder at this gift God has given me. I truly love what I do. My work is attracted to those of us with MAD CAR DISEASE and to the serious art collector." Comission work is on a limited basis.